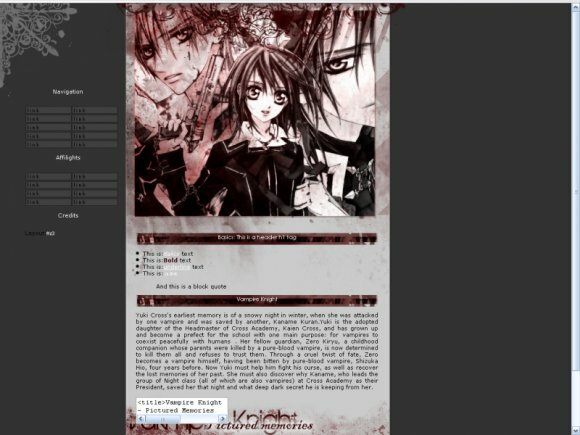 Just another Vampire Knight theme layout. wait where do you post this? Very nice job on the layout! I really like it! i would've changed the font you used in the headers though. Nice job on this layout.